Preheat your Yoder Smoker YS640 to 350ºF. 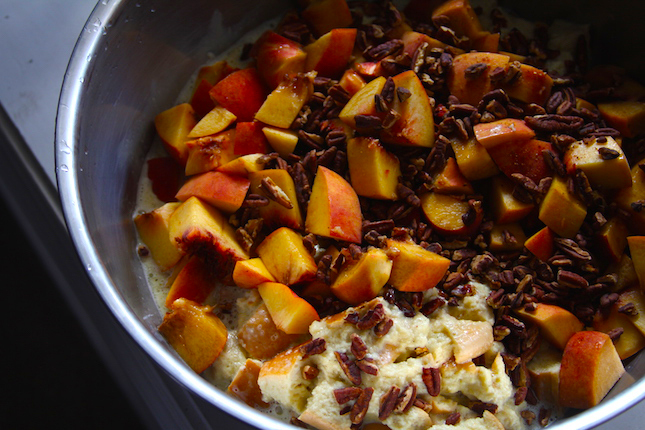 In a sauce pan, combine the milk, cream and bourbon and bring to a simmer. 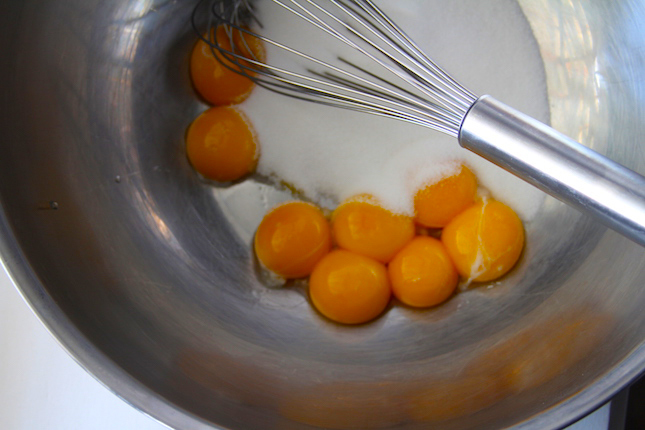 Whisk together the yolks and sugar in a bowl. Slowly pour a small amount of the milk mixture into the yolk mixture while whisking. As more liquid is added you can add it a little faster. Do this until all liquid is incorporated into the yolks. 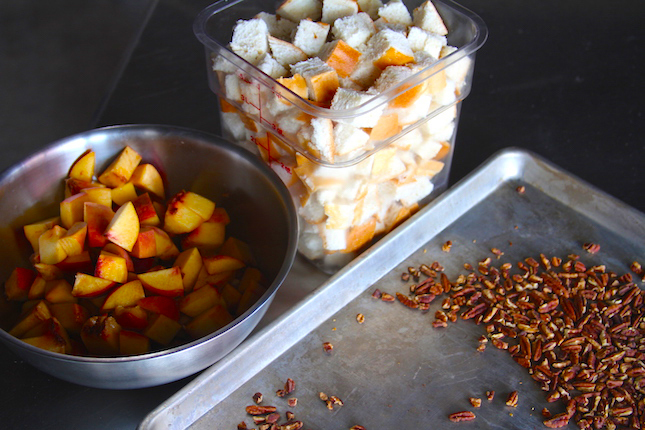 In a large bowl, combine the cubed bread, diced peaches and toasted chopped pecans. Pour the liquid into the bowl and toss to distribute ingredients. 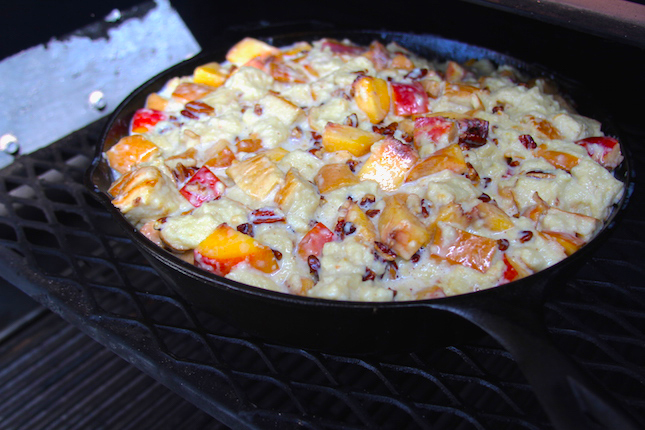 Transfer all ingredients to a Lodge Logic 12” Cast Iron Skillet. Bake at 350ºF for about one hour. While the bread pudding cooks, make the Butterscotch Sauce. 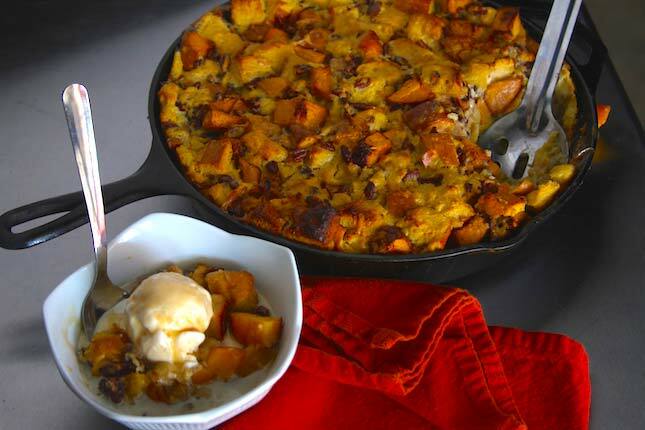 Bring brown sugar, corn syrup, butter, and salt to a boil in an Lodge Logic 8” Cast Iron Skillet, whisking to dissolve sugar. Boil until for about 3 minutes until syrupy and slightly reduced. Remove from heat, add cream and bourbon and stir until smooth. Hold warm for serving. 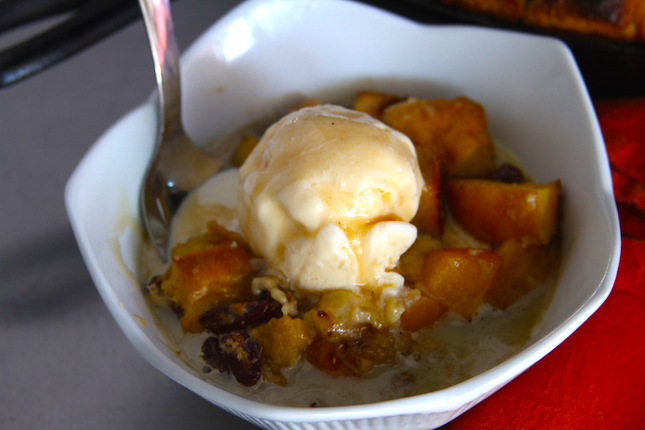 Serve the bread pudding with a scoop of ice cream and the butterscotch sauce.